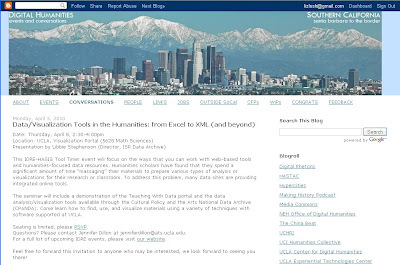 Remy explains that the DHSoCal website is intended to "provide a central calendar and discussion space for the Digital Humanities in Southern California" The group is "inviting scholars involved with Digital Humanities to participate in the site and add their local events to the calendar." Remy is a fan of free tools to keep costs low: the calendar site is on Blogger, and the registration form is on Survey Monkey. 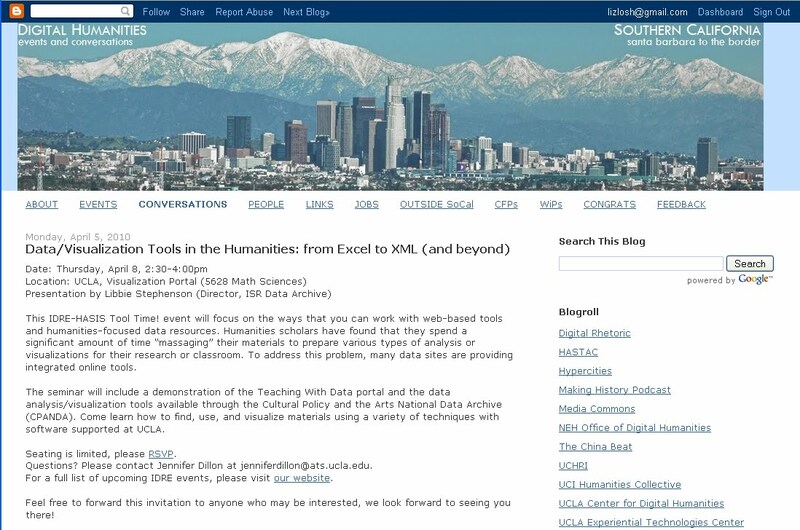 You can also check them out on Twitter at @dhsocal.